Turn complaints into valuable feedback and keep your brand strong. 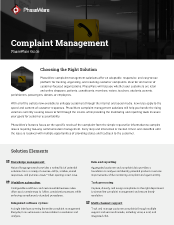 PhaseWare's complaint management software solution offers an adaptable, responsive, and easy-to-use platform for tracking, organizing, and resolving customer complaints. Ideal for all manner of customer-focused organizations. PhaseWare is an integrated software system. 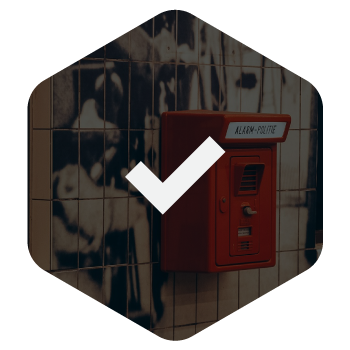 A single interface covers the entire complaint management lifecycle from ticket submission and escalation to resolution and analysis. 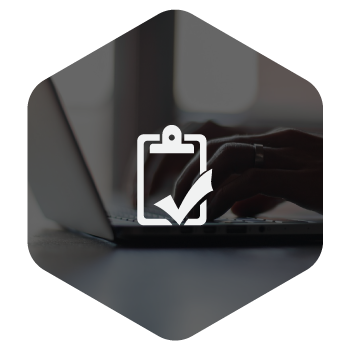 Configurable workflows and customizable business rules allow you to create easy-to-follow, consistent processes while enforcing compliance to standard procedures. PhaseWare’s features focus on the specific needs of the complaint from the simple request for information to complex issues requiring two-way communication management. 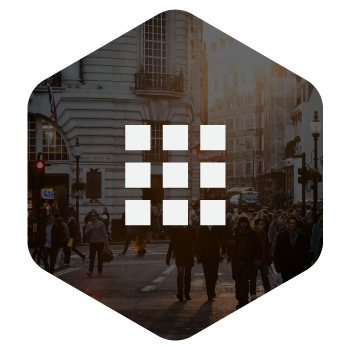 Every step and interaction is tracked, timed, and classified until the issue is resolved with multiple opportunities of providing status and feedback to the customer. PhaseWare's feature filled complaint software was built with versatility in mind. PhaseWare will help your organization whether your customers are retail and online shoppers, patients, constituents, members, voters, teachers, students, parents, parishioners, passengers, donors, or employees. PhaseWare’s complaint management software solution will help your organization manage, monitor, and measure communications with your customer communities, enabling you to stay on top on pressing issues regardless of volume, and regularly monitor the performance of the group responsible for handling your complaints. Natural-language search provides a ranked list of potential solutions from a variety of sources—FAQs, articles, stored responses, and previous cases — when opening a new case. Capture, classify, and assign complaints to the right department to streamline complaint management and ensure timely resolution. Aggregated customer and complaint data provides a foundation to analyze and identify potential product or service improvements. Track and manage customer complaints through multiple channels, including voice, e-mail, and chat. PhaseWare complaint management solutions will help align your people, processes, and information to better serve the needs of your customer communities, while helping your organization remain helpful, relevant, and engaged. Want to see our complaint management solution in action?